For groups traveling to and from Bettendorf, Iowa, we have locations and fleet options available near you. With our multiple terminals across the state, we are able to provide a wide array of options for charter buses in Bettendorf, IA. Because of the variety and large numbers in our fleet, we can accommodate groups of any size looking to travel. No matter if you have a group of just a few, or a group of hundreds, Bettendorf's prime location allows us to customize the perfect fleet option to suit your needs. As one of the largest providers of motorcoach and bus rentals in the Bettendorf area, we recognize the importance of a safe driving experience. All our drivers go through rigorous training, pass extensive background checks, and take ongoing training courses. Windstar Lines puts the safety of our customers as our first priority. With us, you can travel with peace of mind and utmost comfort. 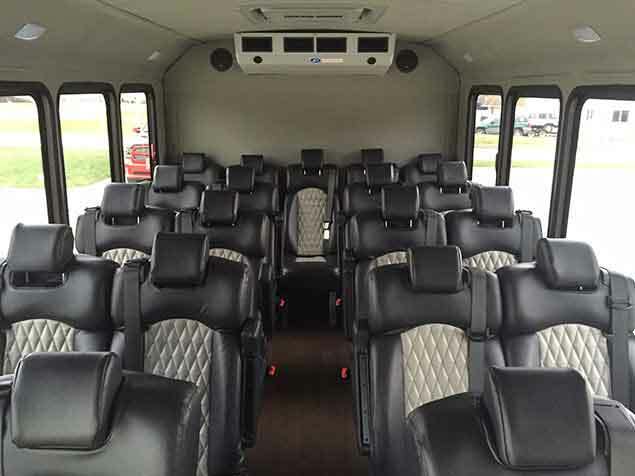 If you're looking to travel to the Bettendorf area, be sure to visit the City of Bettendorf, Iowa website to find other local amenities and use one of our convenient options to get a motorcoach rental quote from us.